October Contest - NZXT Avatar Mouse! The contest is CLOSED!!! 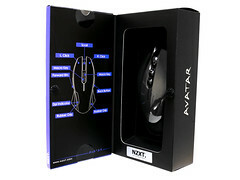 Congrats to werty316 - the winner of the Avatar mouse from NZXT! This month we are hosting a "Show me yours and you can win mine" contest. BCCHardware.com and NZXT are proud to present our October Giveaway! The prize? 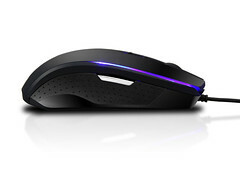 The brand new NZXT Avatar Gaming Mouse! 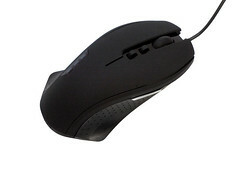 This mouse is designed for gamers and features an impressive 2600dpi resolution. It also has adjustable DPI on-the-fly. One beautiful thing about this mouse is that it is ambidextrous and works equally well for either "righties" or "lefties". More information can be found over at NZXT's website. How can I enter you ask? This contest is a little different than other ones here at BCCHardware. 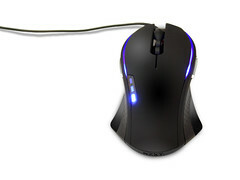 In order to get in to win, you'll need to send a picture of your old mouse and post in this thread. Your picture counts as an entry and if you send in pictures of more than one mouse, they all count for entries in contest. For instance if you have an old "Zoltrix" ball mouse post that picture, you can still take a picture of your Logitech Mouseman Dual Optical mouse for another entry. Please keep one picture/entry per post. Bonus!!! If you follow me on Twitter - www.twitter.com/bcchardware, you will earn an extra 2 entries. Twitter me your forum handle so I can award you the extra entries! If you already follow me on Twitter, please send me your forum handle anyway to keep things simple for the tally process. You'll need to be registered in the forum to take full advantage of this contest so get started!! Contest Ends October 31th at 11:59PM MST. Winners will be announced shortly thereafter. Post your pics of your old mouse in the forum over here ! 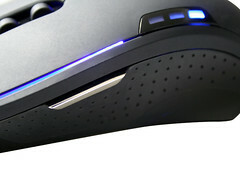 Ergonomic Design -- Ambidextrous design gives full use to both right and left handed gamers. Rubber grip helps avoid slipping during intense gameplay and the small, light form factor allows for faster and quicker movements, perfect for any gamer on the go or playing on a laptop or notebook. A slim form factor makes it the perfect choice for finger tip gamers.